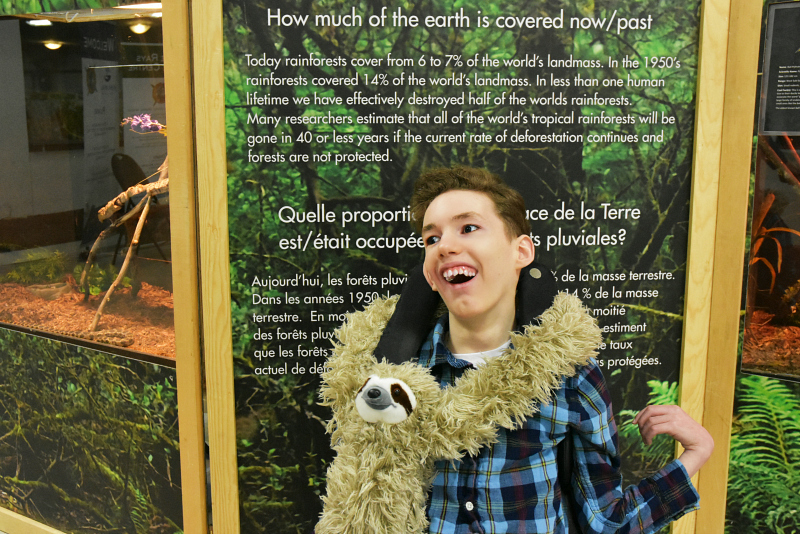 Tiptoeing Through: Diversity of Living Things - We Met a Sloth! 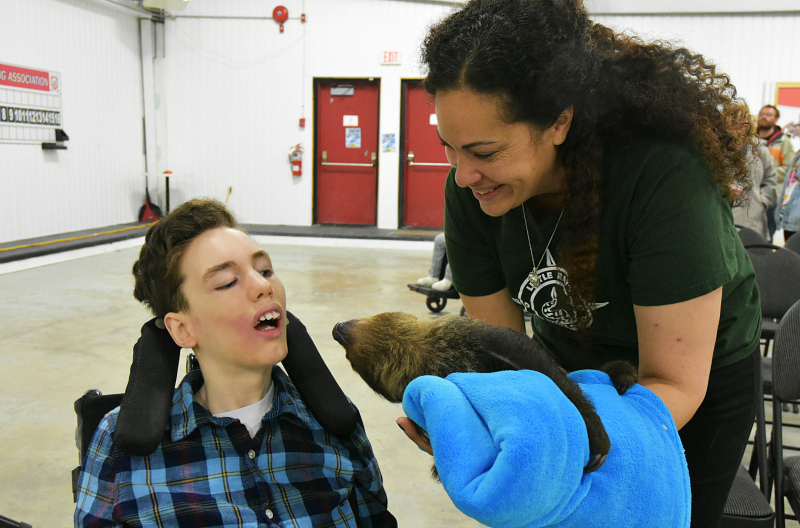 Diversity of Living Things - We Met a Sloth! So often on this blog, and in my life, I find myself talking about diversity and the variety of differences that exist among us. I write about diversity in our community, and with the children in our lives, I talk about diversity regularly. With regards to my son, Brennen, I explain that he has something called cerebral palsy - it is part of who he is, and part of what makes him unique. As a family, we celebrate differences, and we appreciate the many things that make us all special. This weekend, we were talking about a different kind of diversity - the diversity of living things! 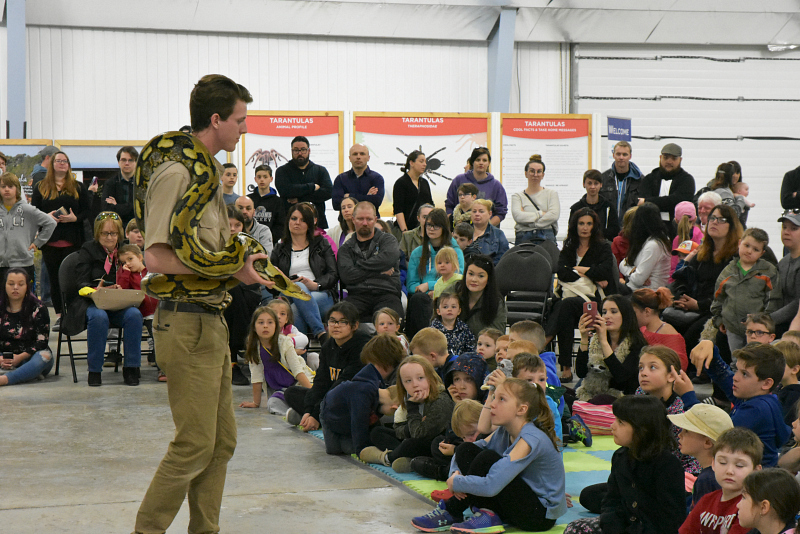 Little Ray's Reptile Zoo was in town with their team from Animal Ambassadors to showcase their most comprehensive exhibit to date. 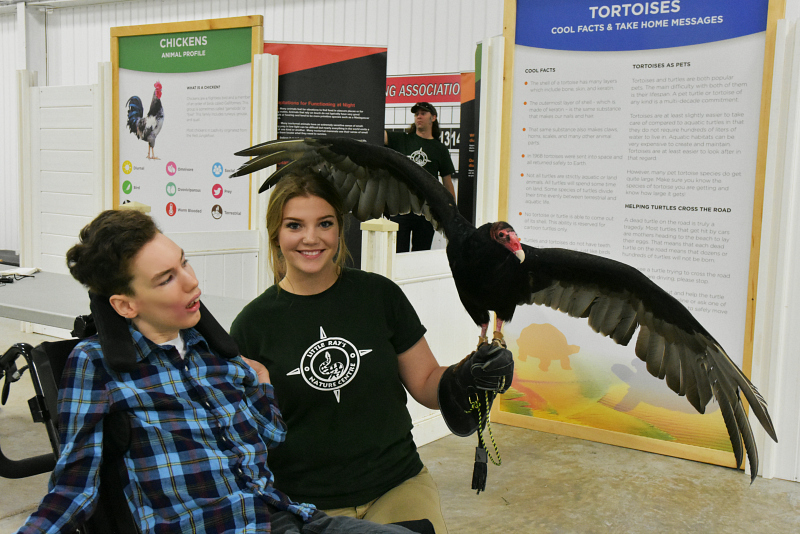 This amazing interactive and educational exhibit featured over 30 live animal exhibits for people to enjoy at their leisure, two highly interactive 30-minute educational programs, and boat loads of staff with animals out for people to interact with in a family-friendly, hands-on environment. I was thrilled to learn that there would be a special time on Saturday morning for special needs families! 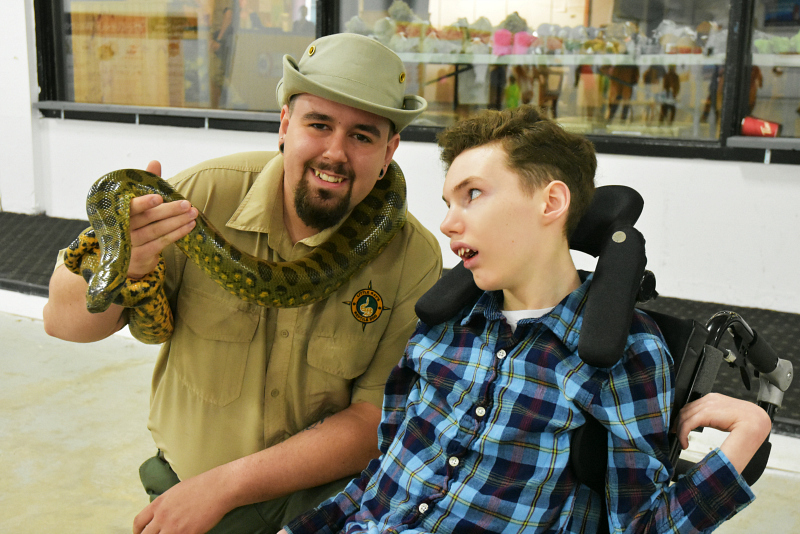 The staff and organizers of Little Ray's Reptile Zoo recognize that many families have children with special needs who could benefit greatly from events like these, however, may not be able to attend as they may not do well in crowds. They opened an hour early for us on Saturday, and we were happy to be able to enjoy the exhibits before the crowds arrived. 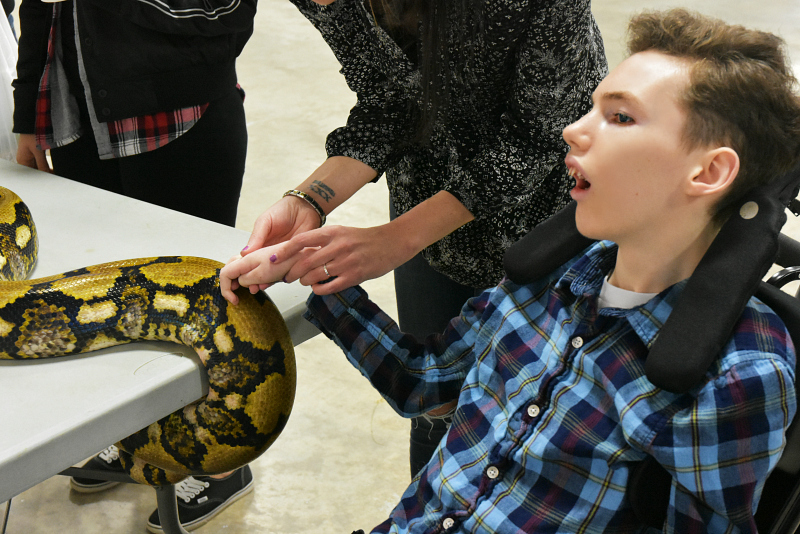 Brennen had no fear and liked touching the soft scales of the snakes. The bearded dragon was a favourite as well! The staff were super friendly and helpful, bringing the animals right to us for a closer look. They answered our questions and had lots of information about the animals that they were eager to share. OMG, the tarantula. 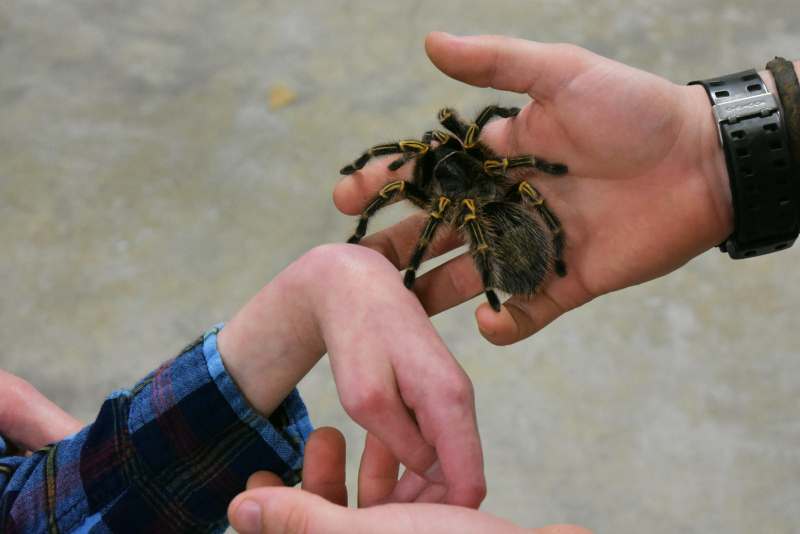 I wouldn't dare touch it, but Brennen was brave and let it climb onto his hand. 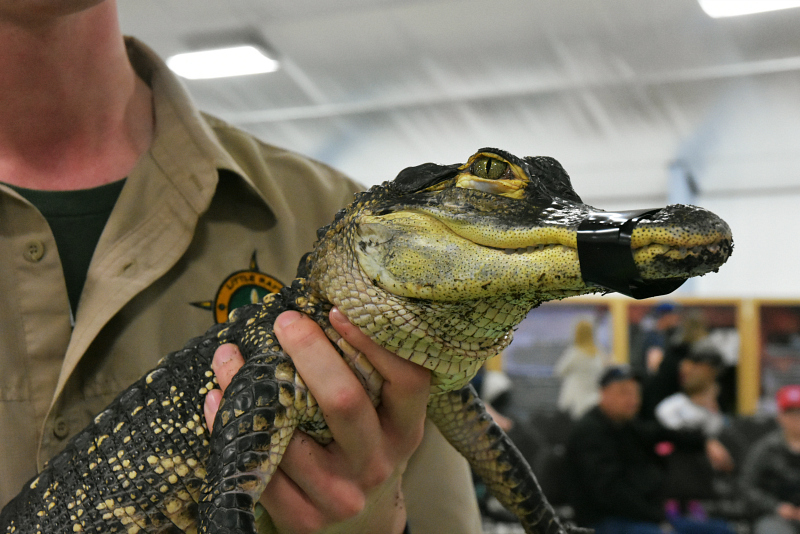 The staff explained where many of the animals in the exhibit came from, noting that this dwarf caiman alligator was rescued from a pet store, where it was discovered that he was being kept in a small container in the back room. His growth was stunted as a result, but he is now healthy and happy to be part of the show. (The tape around his mouth was for precaution only, as he is very friendly and doesn't bite. They use electrical tape because it doesn't stick to skin and doesn't hurt him in any way). They talked to the children about how to safely care for animals as pets. All too often, people don't think about the serious commitment that is required when they bring an animal home. Little Ray's sees a large number of turtles surrendered because people don't realize how long they will live or how big they will get. 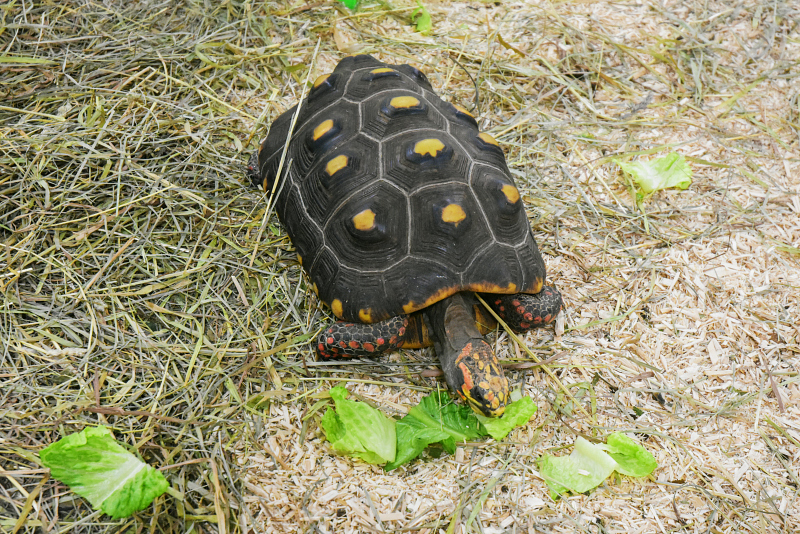 Many species of turtle can live to be over 80 years old! 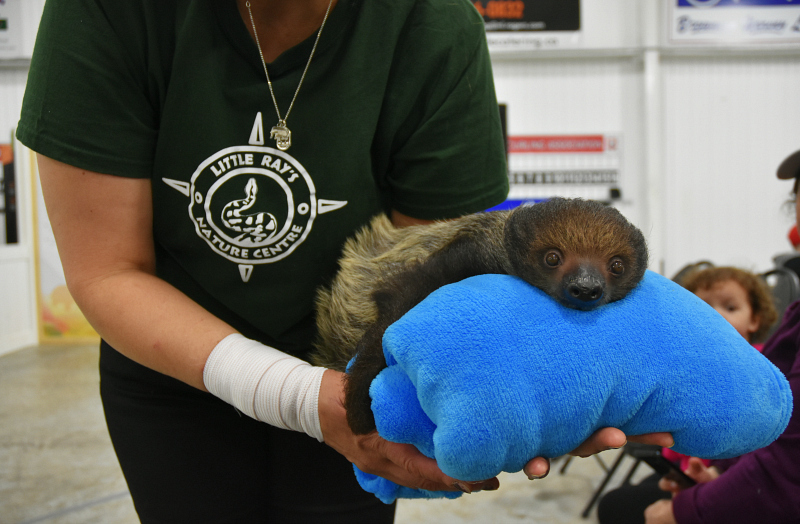 The feature attraction was a young, two-toed sloth named Linus. He was very sweet. He even bent over backwards to see Brennen! 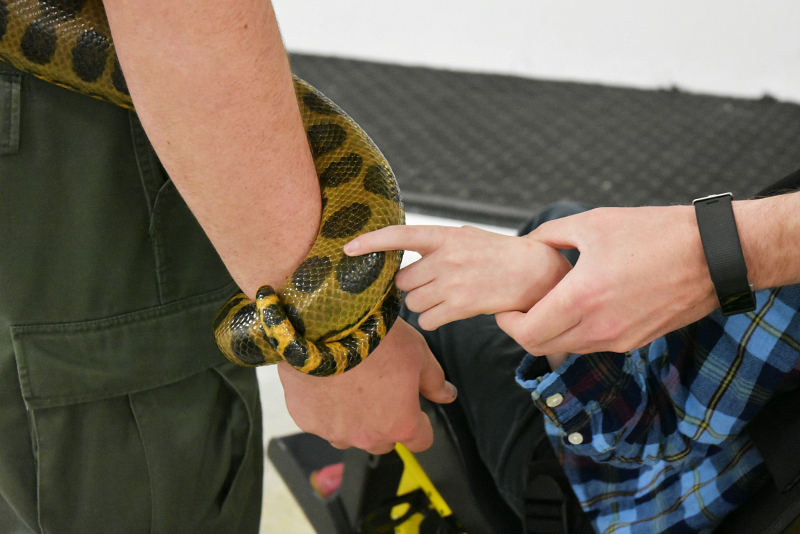 We had a great time with the animals at Little Ray's Reptile Zoo and Nature Centre. There were so many wonderful learning opportunities, and we were happy to see some of our friends there as well. 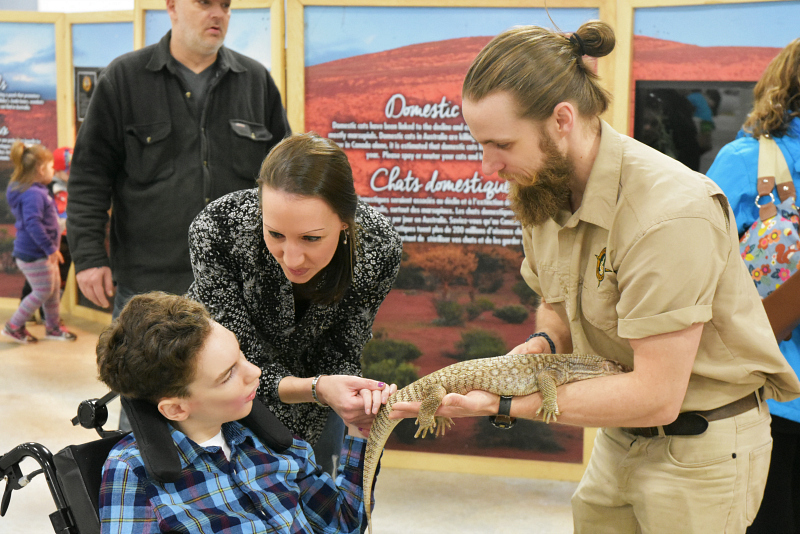 Thanks to the staff for sharing your love of animals with us, and for helping us learn about some of the exotic creatures we share this world with. If there is one thing we know for sure, it's that our communities thrive on diversity - both in it's animals and in it's people. We celebrate that diversity every day, practicing openness and appreciating each other's differences. Raising children in a way that focuses their attention on what is similar between themselves and others over what is different, helps to get them in the habit of treating all living things with respect and kindness. 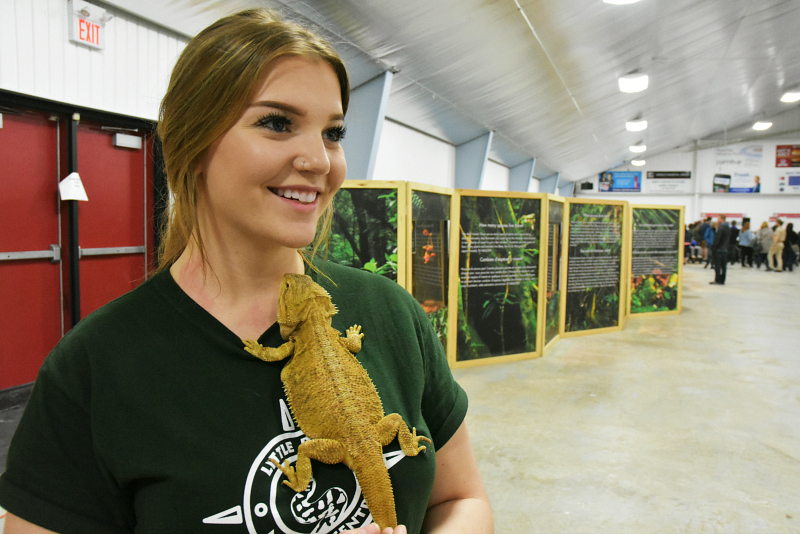 "Little Ray's Reptiles Zoo is the largest exotic animal rescue in Canada and provides sanctuary for 100's of seized and unwanted pets until the best long term solutions can be found. 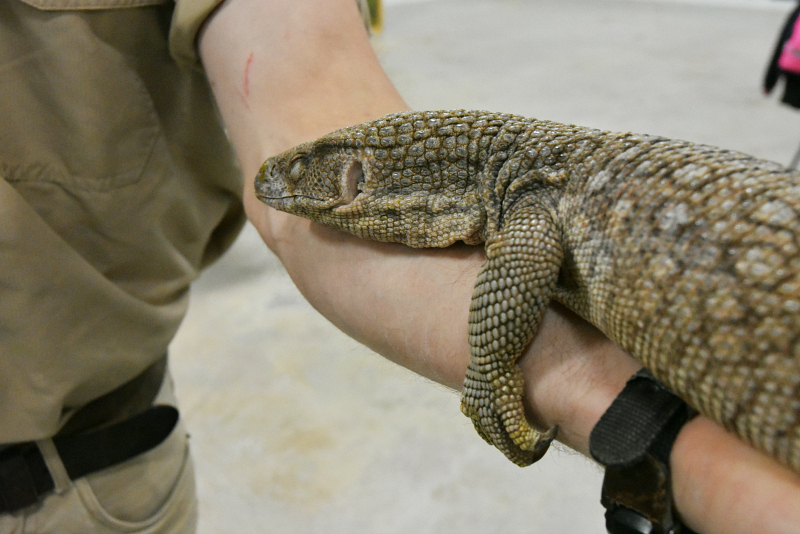 About 80% of the animals in our care are unwanted pets or seized animals and we do not take animals from the wild to utilize in these programs. 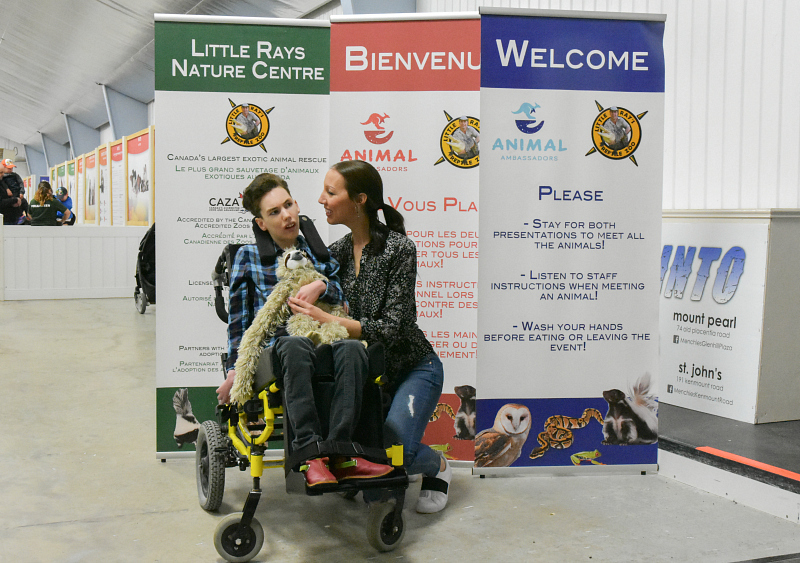 We do have some animals that were born at our facility or other facilities in Canada but 100% of the animals we receive calls about that are eligible to be released are released 100% of the time. 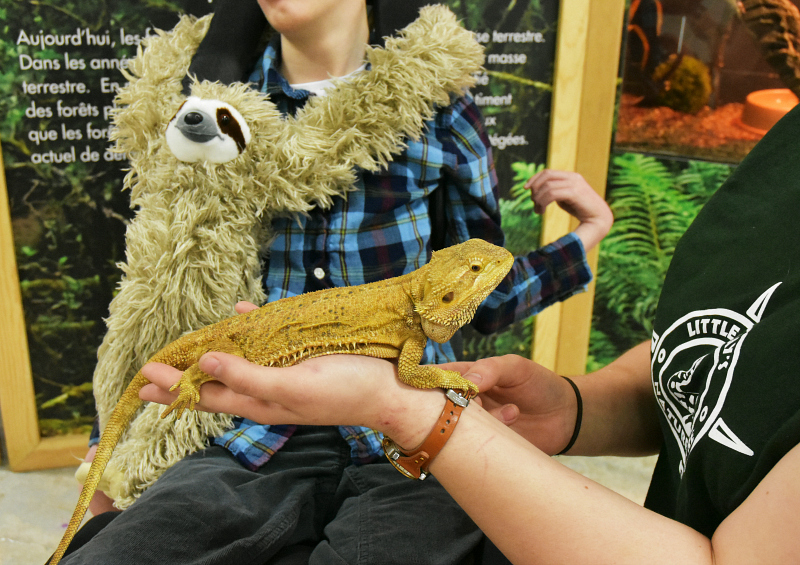 Other animals in our care that are appropriate for programs such as these are utilized for fun, thought provoking, educational programs promoting responsible pet ownership and conservation."